Ocean City, New Jersey is "America’s Greatest Family Resort", and because of that, it is a wonderful place for the entire family to enjoy the beach and boardwalk. We will travel to Ocean City, NJ. Relax on the beach, ride the waves and browse the boardwalk. 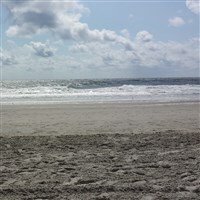 Spend the day in Ocean City, NJ relaxing on the beach or walking on the boardwalk filled with shops, eateries and amusement parks.